The Stair Climber Major TRE-52 carries all types of wheelchairs! It is the world’s only portable inclined plattform lift. 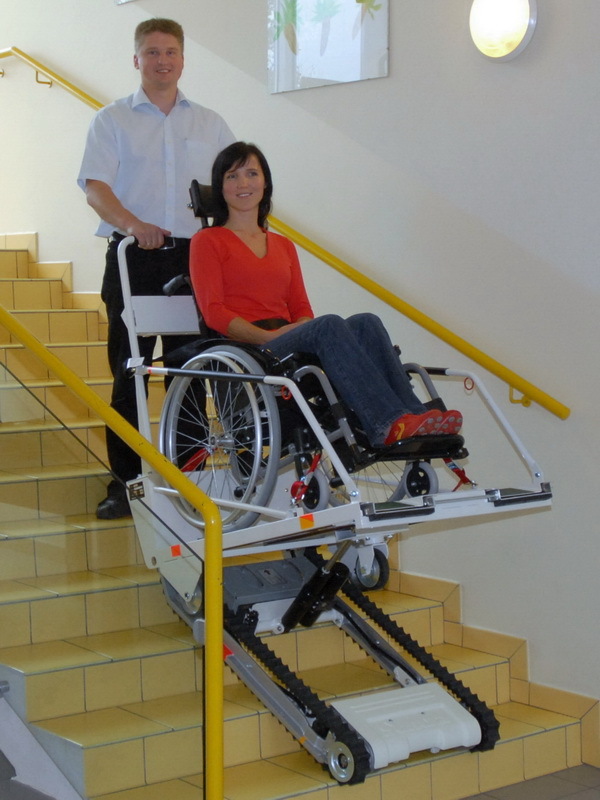 It provides instant, affordable accessibility where stairways are a barrier. 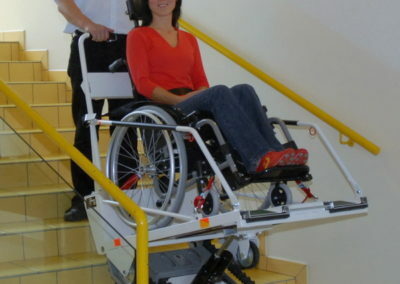 The unique platform design will accomodate all types of wheelchairs including power, child sports and conventional adult wheelchairs. 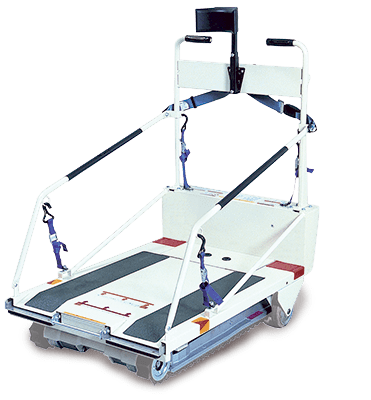 Stair Climber Major TRE-52 is ideal for public and residential buildings. It’s simple to operate, robust and incorporates many safety features. The Stair Climber TRE-52 is a perfect daily solution for your mobility problem in a homely environment or a public building.